Anyway, I like the top (though the cowl is waaaaaaay too deep to wear on its own), but I’ve been putting off doing the photoshoot for it because it’s freezing outside! We have a wedding coming up this weekend, which I’m planning on wearing my purple Matthew Willamson birthday dress to, but seeing as how it’s November, I wanted to make a little jacket/coverup to wear with the dress. 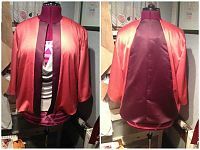 The problem is that there wasn’t very much of the purple satin leftover, but I liked how it looked paired with the salmon satin of my swirl sheath dress, so I decided I’d make a jacket using both fabrics and then I could wear it with either one. Clever, see? 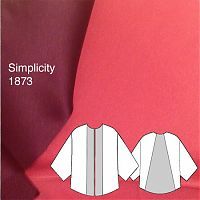 The pattern is the same Cynthia Rowley Simplicity pattern I used for my fuschia party dress – a simple, loose, open jacket with dropped shoulders and wide sleeves. I just drew some extra seamlines onto the pattern pieces for my colourblocking. 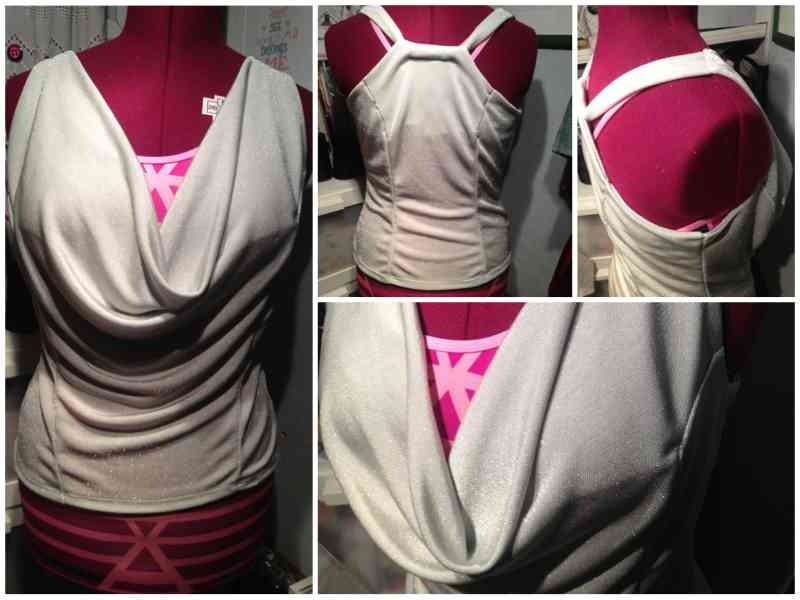 It’s also unlined, so I sewed it all with french seams and neat finish facings (where you sew the facing to the interfacing, then flip it around to fuse). It’s debatable whether just drafting a lining would’ve taken up more time! Anyway, I’m not entirely sure whether I like it or not, or whether it’s “me” – I vacillate between thinking it’s a chic kimono vs a “lady of a certain age” style. I guess I’ll ultimately decide at the wedding, where I’ll try to get some photos of me wearing it with the dress. 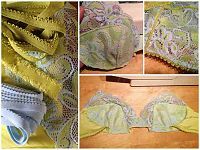 And if you did like my turquoise lingerie set, then please vote on Pattern Review if you’re a member! I’ve entered it in the lingerie contest, but voting is only open for a few scant days so do it now! 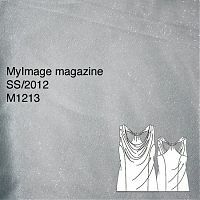 Separator image Posted in In Progress and tagged with knipmode, lingerie, mexico13, myimage, satin, simplicity, ss13.